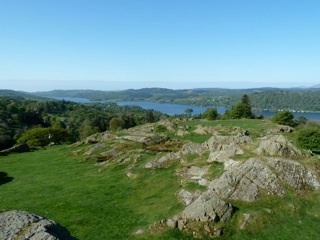 In my last posting I described our visit to Coniston, where we followed the guidance provided by Thomas West in his "Guide to the Lakes" to locate those points (or 'stations', as he called them) from which the most sublime views could be obtained. 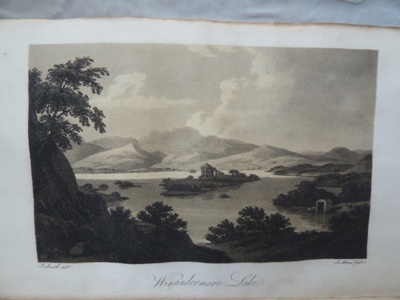 Next we turned our attention to Windermere, the largest of England's lakes and a mecca for lovers of landscape and the picturesque, both in Thomas West's day (late 18th century) and now. 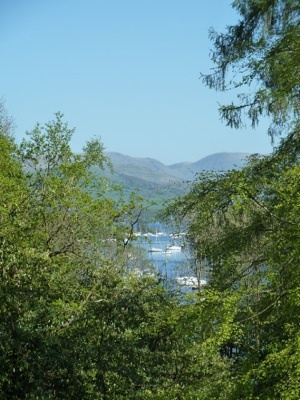 Thomas West nominates five stations for the best views of Windermere, but two of these (his second and third stations) are located on Belle Isle, a privately owned island in the lake across from Bowness. 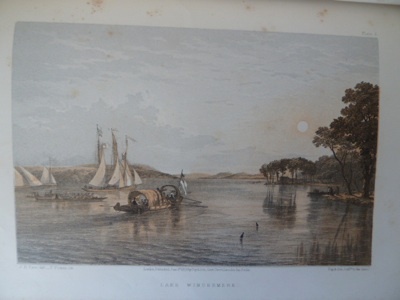 Hence these two are inaccessible. 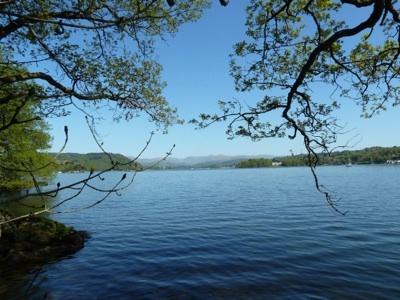 This left three for us to explore, two on the west side and one on the east side of the lake, which is long and thin broadly along a north-south axis. 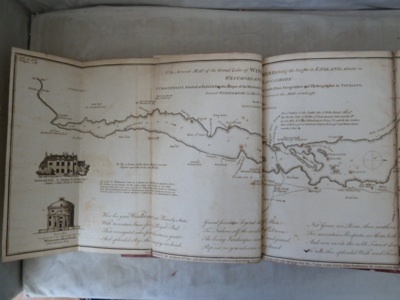 The stations are shown on the maps of the lakes published by Peter Crosthwaite in 1794. Travelling from the east it was West's fifth station that first claimed our attention. 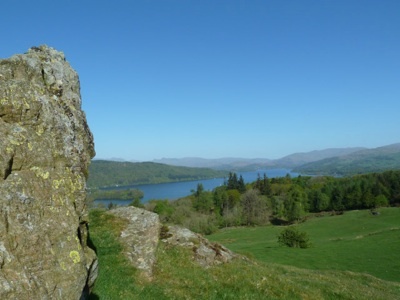 This is reached by a short climb to the summit of Brant Fell, which at 192m high commands long views of the lake both north and south. 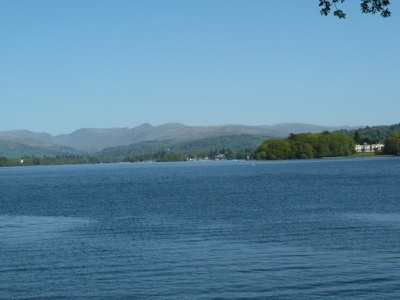 Brant Fell is located just south of Bowness and about a mile east of the point from which the chain ferry across the lake operates. 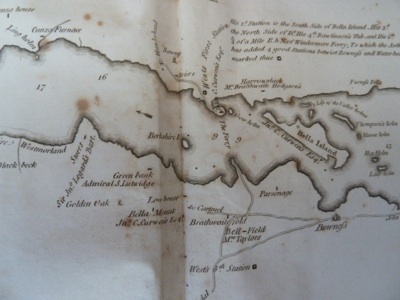 The Ferry is clearly marked on Crosthwaite's map. 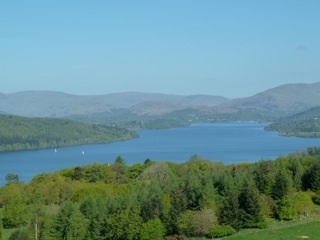 The view from Brant Fell is (unlike that from some other Thomas West stations) not obscured by trees and is truly magnificent. 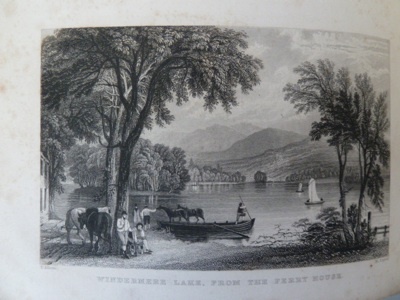 From here, looking across the lake it is possible to see West's first station, which is on a rise on the west side of the lake near the ferry. We took the ferry across the lake and proceeded to this station. 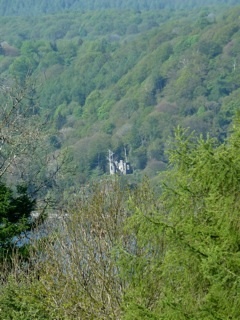 At this point a tower was built in West's time (Claife Station), from which the tourists could admire the view. 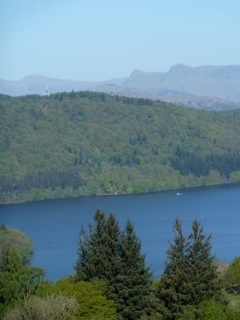 The tower even had coloured glass windows to create the effects of sunrise and sunset, so the seekers for the picturesque would not miss out on any of nature's moods. Sadly, the tower is now a picturesque ruin, or at least it would be if it were not surrounded by dismal fencing preventing access. 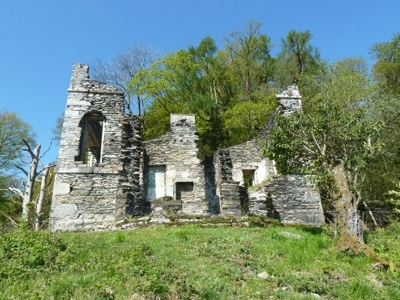 This was no doubt installed for health and safety reasons but the present owners (the National Trust) should really do better at what could be a hugely impressive site. 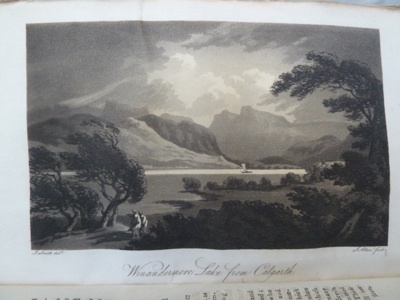 Also, the spread of trees over the last 200 years prevents all but a tiny slice of the view that so captivated Thomas West. 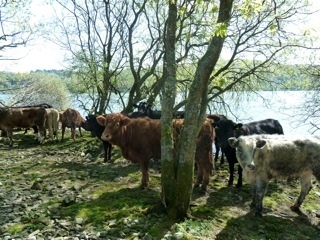 passed through a herd of cattle on our return walk. 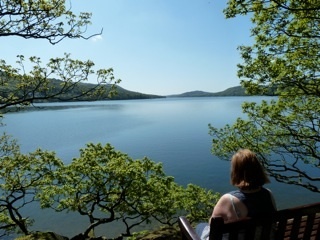 Enriched by our experience of the picturesque, it was now time for lunch at Hawkshead, a bustling honeypot for tourists, where the good folk of the Sun Inn provided us with Herdwick Lamb, washed down, appropriately enough, with Stickle Pike Ale.